The Lord spoke to both Jeremy and I many years before we were even married about adoption. We filled out all of the paper work 4.5 years ago when I came off the field in Haiti. We were accepted into the Ethiopian adoption program May of 2011 and from then on would be blown away by what God had in store. Many of you have followed our adoption journey since then and know the ups and downs that have brought us to this point. One big up was the adoption of our amazing son Evans from Ghana. Wow God! Who would have thought starting an adoption from Ethiopia would lead to an adoption from Ghana and back to Ethiopia. God knew and God kept giving us reminders to BELIEVE what He had promised. The tears that I have cried these past 4.5 years can’t be measured by man but God knows them. He saw my heart break every time the phone rang and bad news came. He saw our tears fall with each Christmas that went by without our baby. God saw me at my lowest moment in Ghana when we almost lost our son Evans. Only God knew how hard it was to get a referral for our baby girl and have to wait almost 16 months to finally get to meet her. Believing in anything this past year has honestly been a very big challenge for me. However, at the beginning of the year I was encouraged to sit down and write out the miracles that God performed through my tears, broken heart and lowest moments. 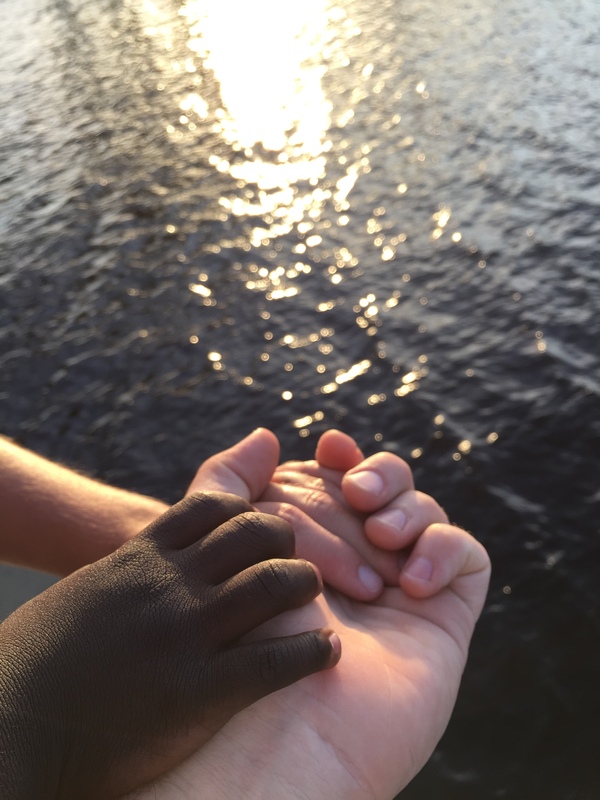 ~ God placed a little boy into our lives from Ghana, Africa while we waited for our Ethiopian adoption to happen and allowed us to fulfill a concurrent adoption of Evans! ~ God placed my mother in Ghana when we received the news that adoptions were going to be closing in a week! God knew I couldn’t have handled that alone. ~ The Lord showed up in a village in Bolgatanga, Ghana to change the heart of our judge. We still praise God for that moment when we were pronounced a family of three. No other way but by God! ~ We arrived at home in October and a few days after being home our baby girl was born, unbeknownst to us. ~ February 5th, the same day as our missions orientation, we received the referral for our baby girl! ~ May 11, 2015, right as Jer was getting into South Africa and had internet, we received the call from our agency that our MOWCYA letter was positive! This was the 5th attempt at having this letter written. ~ May 13th, 2015 Jeremy, Evans and I walked to our local donut shop and sat for some coffee and donuts reflecting on Jer’s recent trip to Kenya. This was the first time in a while the three of us had been together and sure enough that is when God chose to give us a court date notice to travel to Ethiopia. ~ Our fingerprints were able to be updated here in Florida even though our appointment date was for while we were in Ethiopia and our office for processing was in Maryland. Praise God! We leave today with a court date set for June 2nd! Please be in prayer for our travels, meeting our baby girl and the transitions that will happen, a speedily return home but mainly for us to enjoy where the Lord has us and to just BELIEVE in His promises! Ethiopia Adoption Update: Orphan Care Project $20,000 Campaign & matching grant! Yes! Sometimes it is so hard to believe! Thanks for sharing this and my prayers go with you. So amazing!! Just excited to see her become a part of your family. God is so good. Thank you for your awesome testimony. God knows how fragile we are and he never asked for perfect, just be present and participate. Love you all and can’t wait to see everyone! !